Would you pay $10,000 a year to stay married to your spouse? Some American couples are being faced with exactly that decision as they consider their health insurance options under ObamaCare. One of the most controversial provisions of ObamaCare is that it requires all Americans to purchase health insurance, whether they want it or not, or face hefty fines. To facilitate enrollment, the government has set up health care “exchanges” in all 50 states and Washington, D.C., where people can compare and purchase insurance plans. The government has promised subsidies to help those who cannot afford the higher premiums, but the way the subsidies are calculated mean they could pay up to $10,000 more per year. The marriage penalty is a result of the way the government calculates poverty. While the poverty line for a single person’s income is $11,490 per year or less, a married couple is considered above the poverty line if their combined income exceeds $15,510. People are eligible for subsidies under ObamaCare if they make up to four times more than the federal poverty limit – $45,960 for a single person, or $62,040 for a married couple. But unmarried couples living together will have their incomes assessed separately – meaning that as long as each of them makes less than the individual cutoff, they can remain eligible for subsidies while bringing in a joint income of up to $91,920. In 2010, the Heritage Foundation warned of this hidden marriage penalty in a report criticizing the ObamaCare bill for its “profound anti-marriage bias.” They also pointed out that focusing on the yearly penalty misses the bigger picture: the penalty is assessed over and over again throughout the couple’s life, meaning the real cost of marriage is much, much higher. According to the group’s calculations, a married couple who remained married throughout their lives might pay more than $200,000 in penalties under ObamaCare. Leanna Baumer, a senior legislative assistant for the Family Research Council, told LifeSiteNews.com that ObamaCare’s marriage penalty is a giant step in the wrong direction, one that could negate years of hard-won tax reforms aimed at encouraging marital stability. 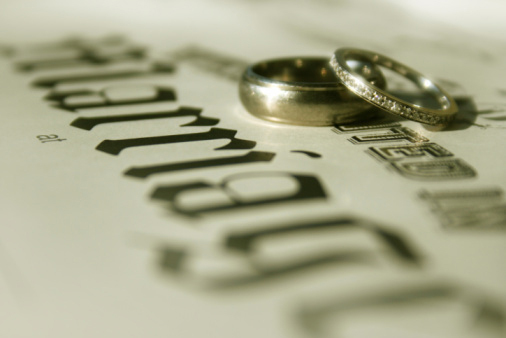 “Not only do these penalties discourage couples from marrying, they ignore the bipartisan work that has occurred in the past decade to decrease marriage penalties in the tax code,” Baumer told LifeSiteNews. “Providing further disincentives for marriage means that we make family instability more likely for some couples,” Baumer told LifeSiteNews. The threat is more than theoretical. Nona Willis Aronowitz and Aaron Cassara of New York City are one such couple. Married for four years, they told NYC’s local CBS affiliate that while they are still very much in love, they are considering divorcing, at least on paper, because staying married will cost them thousands of extra dollars per year. “After ObamaCare has rolled out, we realized that we would save thousands of dollars if we got divorced,” Aronowitz told CBS. She explained that the two of them combined make just over $62,000 a year, which is the cutoff for health care subsidies for a married household with no children. But if they divorce, even if they still live together, their incomes will be assessed separately, making them both eligible for federal aid. Baumer told LifeSiteNews that discouraging, or breaking up, happy marriages harms more than just couples. Previous ArticleDid You Run Out of Sins? In case you haven’t noticed, the traditional family is one of the things that seems to be being targeted by this Administration.